Snow Cone Machines for Home and Business Use. We feature here a variety of commercial snow cone machines for sale including the the Echols 103 Snow Cone Machine with the 160 Snow Cone Case, various Paragon Snow Cone Machines, and now the new Benchmark USA Snow Bank Snow Cone Machine. The Echols 103 Sno Cone Machine, our various Paragon Snow Cone Machines, and the Benchmark USA Snowbank are very reliable and and can shave 500 pounds of cube ice as well. The Echols high speed shaver is constructed of heavy duty cast aluminum ensuring years of service. Echols and Paragon include lights in their display cases. All our snow cone machines are easy to use. For Snow Cone Flavors and other Snow Cone Products, go to Snow Cone Syrups. Order one today to crush up some fun and profits this summer. Summer is here...you don't want to miss on a great opportunity as snow cones is one of the highest profit makers there are in the fun food concession business! BONUS: One free box of spoon straws and free shipping with the purchase of this machine. If like our Arctic Blast Snow Cone Machine, but it is a little out of reach for your budget, then the Simply-A-Blast Snow Cone Machine is for you. The Simply-A-Blast Snow Cone Machine is the no load, no frill version of the Arctic Blast. Price and function is the winner here. Economically priced, but still features a heavy duty construction. Great starter commercial snow cone machine. Guaranteed to bring in great profits when put to good use....at flea markets, beach fronts, swimming events, fairs, festivals, and carnivals, and even great for fundraisers. Making snow cones with Paragon's Commercial Snow Cone Machines is really quite simple and cost effective. Click on the above link to watch the video for details on how to use a snow cone machine and see how simple it is to make a snow cones and run your own snow cone business. If you have any further questions or would like to order a snow cone machine and or snow cone supplies, please feel to call us at 757-473-8951..
Paragon Snow Cone Cup Holder Dispenser. Attaches to snow cone machine to place your paper snow cone cups in to dispense one cup at a time. Makes it easier, cleaner, and quicker to serve snow cones. From Benchmark USA...The Snow Bank Snow Cone Machine. 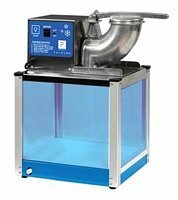 The most unique snow cone machine around that is priced for almost any budget. Not only does it crush and produce 500 pounds of crushed ice per hour, but the Snow Bank can produce the standard course snow cone ice or it can be adjusted to produce finely shaved ice! How can this be done? This unique feature is accomplished because the adjustable stainless blades of the cutting head are preset to produce one type of ice or the other. Rotating at 1700 rpm's, the heavy duty motor is designed for years of very profitable and durable service. Furthermore, The Snow Bank Snow Cone machine presents another very unique feature in that there is a one of a kind built-in snow cone shaper for perfect snow cones each and every time. Make your Summer profits sizzle with snow cones! This Blue tinted Acrylic dispenser will hold approximately 200 six oz. cups and attaches easily to the Benchmark USA Snow Cone Machine with the included hardware. Add mobility, versatility, and more storage space by adding a cart to your snow bank snow cone machine. 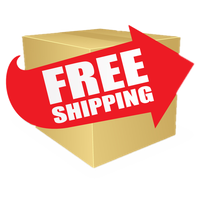 This optional cart will catch your customers attention much quicker as well, which means more sales and more profits. Snow Cone Machine is not included. Can be purchased separately above. From Paragon...The Cooler Snow Cone Machine on wheels! The market wanted a unique, smaller more portable sno-cone machine-and Paragon made it! The cooler has wheels and is made from rugged roto-cast polyethylene so it's light weight and less expensive. It has the same heavy duty motor and hard-wearing components as Paragon's metal models using tinted high-impact polycarbonate side panels making it safe, easy to clean, and tinted blue to shade the ice from quick melt down. Super for rental stores and moonwalk operators! Could be a fashionable item for home parties... as well as to keep everyone cool from the summer heat. Be one of the first to own The Cooler Snow Cone Machine - order yours now and be ready for the busy Spring and Summer Season 2018! Another avenue where fun and profit meet and Standard Concession Supply! From Benchmark USA....The Snow Blitz Portable Snow Cone Machine. The Snow Blitz ice shaver is ideal for high volume locations like large festivals, fairs, coliseums, raceways, beach concession stands, swimming pools, concession catering events and other venues where one person is shaving ice and another is serving. The freezer-safe ice-tote collects the crushed ice and can be removed for serving. Additional totes are available to allow even the busiest locations to maintain production. The Snow Blitz ice shaver will produce up to 500 pounds of crushed ice per hour. It features adjustable cutting blades from fine to coarse. A snow cone machine to fit any budget. Great starter snow cone machine. The Port-A-Blast Snow Cone Machine is cabinet less but is designed with slide-in ice tub to catch your crushed snow cone ice. The Port A Blast produces as much snow cone ice as our other commercial snow cone machines...500 lbs. per hour! Powerful 1/3 HP motor with safety switch control. This portable model is fast and effortless to use. Start your profitable snow cone business today! Echol's Model Number 103 Snow Cone Ice Shaver. Real durable snow cone machine. Great to use for private parties, social functions, with moon-walks, beach events, festivals, and more. It will produce alot of snow cone ice quickly. The Echols 103 Snow Cone Machine shaves up to 500 pounds per hour. The 103 Ice Shaver is made of heavy duty cast aluminum which insures you years of dependable service. Lighted case #160 is included. Crush some profits with one of the newest Sno-Cone Machines by Paragon called The Blizzard. The Blizzard is a great commercial Snow Cone Machine and is a full-featured machine with a streamlined style. A little more economical than the 1911 Sno-Storm Snow-Cone Machine. Snow cone ladle to shape and fill the ice in your cone cups is included, as well as the snow cone cup cone holder pictured. 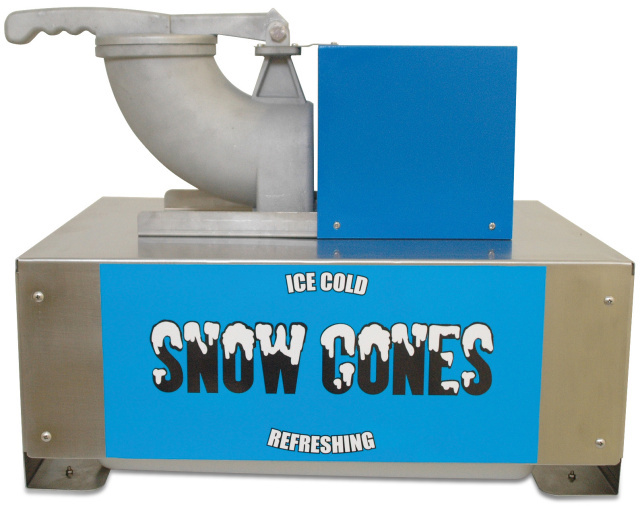 This Sno-Cone Machine has a powerful motor, sturdy cabinet, and attention-getting graphics. The Blizzard can shave more than 500 pounds per hour. Just add ice and syrup for great profits! Paragon Snow Cone Cart for both the 1911 Snow Storm Snow Cone Machine and for the The Blizzard Snow Cone Machine. Add mobility and convenience and increase your sales with a spoke-wheel, snow cone cart. This steel snow cone cart is custom designed for the Paragon Snow Cone and Blizzard Snow Cone Machine. Can also be used with the The Cooler Snow Cone Machine as well. This cart is finished with a powder-coat paint that resists chipping. Paragon's 1911 Sno-Storm Sno-Cone Machine is the new model for the old Original 1911 Brand Sno-Cone Machine. Incredible profit maker for those warm and hot days of spring and summer. This commercial snow cone machine is constructed with stainless steel and aluminum to ensure protection from the elements and long durability. The Snow Storm snow cone machine has a number of high-end features including a hooded top reminiscent of snow cone machines from the early 1900's, but with the high tech features such as a back-lit sign and a lighted serving compartment...a real attention grabber.. Designed with vintage charm for added impulse sales. Paragon's 1911 Sno-Cone Machine will shave over 500 lbs. of cube or chunk ice per hour. The sno-cone machine has an antique black top, bright blue metal filigree, and old fashioned graphics. Paragon's Sno-wiz Ice Block Shaver. If you are looking for a product to create a serious production of true Shaved Ice...then the Paragon's Sno-Wiz Ice Block Shaver is for you. The SnoWiz machine produces the finest shaved ice in the world! Shaved Ice is a finer and a more delicate type of ice than regular snow cone ice. The Sno-Wiz Ice Block Shaver manufactured for Paragon by SnoWizard is the industry standard by which all other shavers are compared, block or cubed. The result of 70 years of research, development and continuous refinement. This product will be a great profit maker and will do so year after year. Made in the USA. Nostalgia Electrics SCC399 SNOW CONE CART. The Nostalgia Electrics Series Old Fashioned Snow Cone Machine and Cart features both a vintage appeal and the convenience of a modern appliance. Use ice cubes from the freezer to shave and make refreshing snow cones for the warm spring and summer days festivities. The handy storage compartment is ideal for storing syrups, extra cones and other supplies. Standing 48 inches tall, this snow cone cart is perfect for large groups, parties and events such as fundraisers. and home family entertainment. Just add your choice of your flavored snow cone syrup and enjoy great tasting snow cones with the kids, at the swimming pool with friends, or any holiday party you are hosting.